Appears you are a natural metal fabricator. 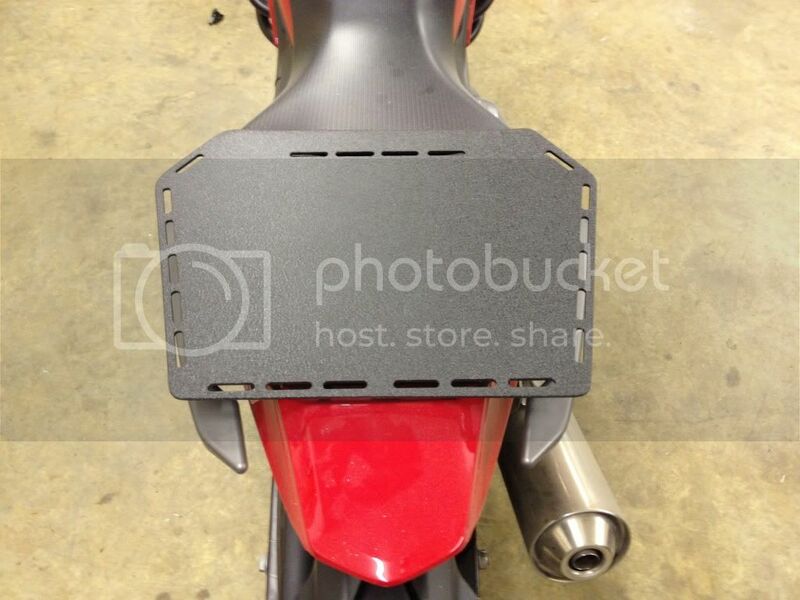 I will confirm that with pictures when my DCT skid plate arrives in a few weeks. Just wanted to pipe up: I'm interested. Can't wait to see some pics and hear the pricing. +1 Can't wait to see the rack. If it could serve a useful purpose for me, you can count me in Dale. I can't wait to see pics. I'm super pumped. almost done with new rear rack, it will take the place of the rear seat, and will hinge rear ward just like the seat did, for fuel filling. it will be powder coated textured black to match the black on the side panels, it will have slots around the outer edge to hook straps, or bungee cords. 1. how many people would be interested in the one that hinges to get to the fuel cap, and covers the cap, so that the stock cap is covered?? 2. how many would be interested in one that has a hole cut in the plate so that you do not have to hinge the rack backwards?? 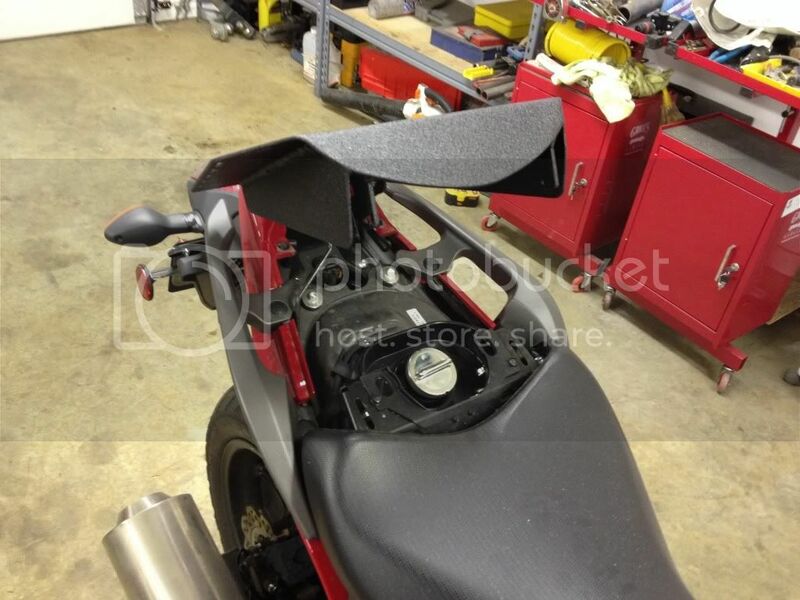 3. the new rack will cover the honda grap rail, and taper like they do to the rear. 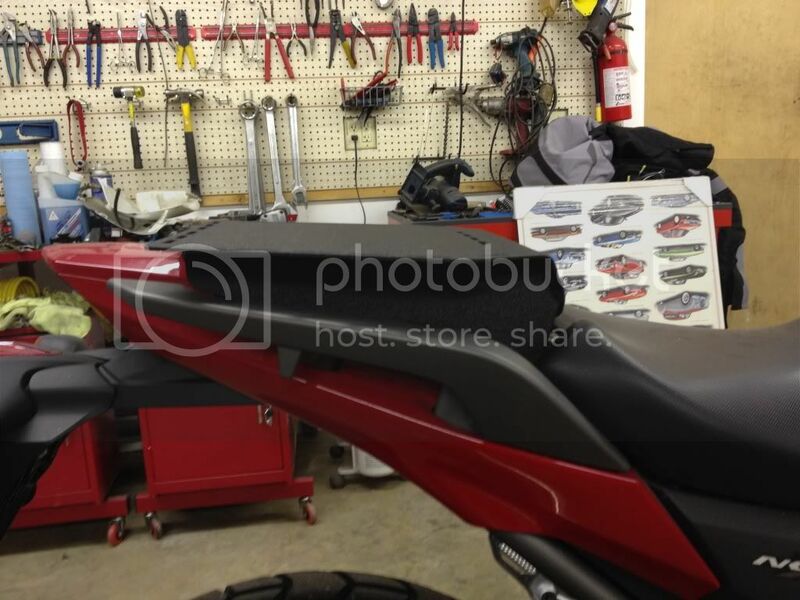 4. the rack will be aluminum 5052 3/16 plate, and would be very strong, but you would have to be carefull hingeing up, with a load on the rack, the rear honda hinge would not like a lot of weight on it, in the up position. not sure on price will have to finish makeing the two types,and take to powder coating for est. i will be done in about two weeks, and one week more for coating. will post pic when i get them back from coating. Just wondering .... if you have any pictures from the side with the rack in the UP position ?? 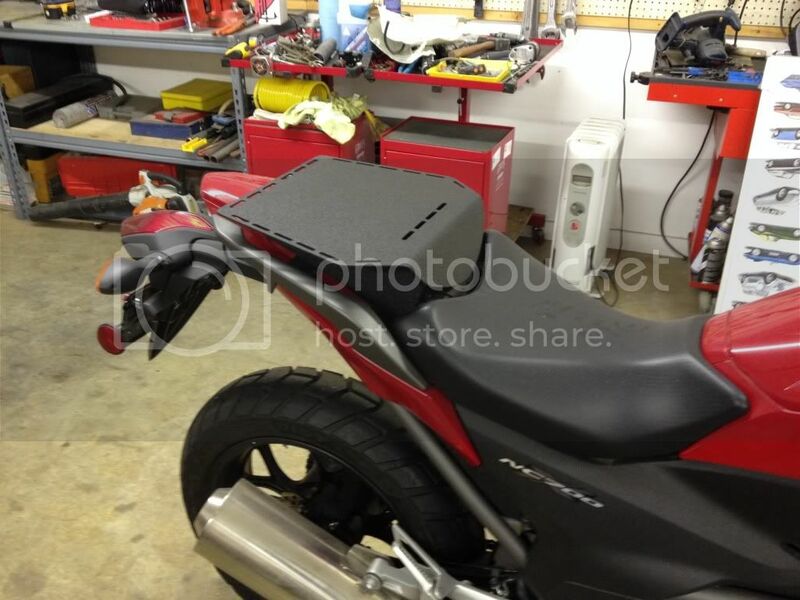 Lots of guys have the Honda or SW-Motech rear rack .... and they will want this one also .... so just want to get an idea of the clearance ??? Once again, a very well done to the Honda Bike Pro! Last edited by Old Can Ride; 5th April 2014 at 10:15. 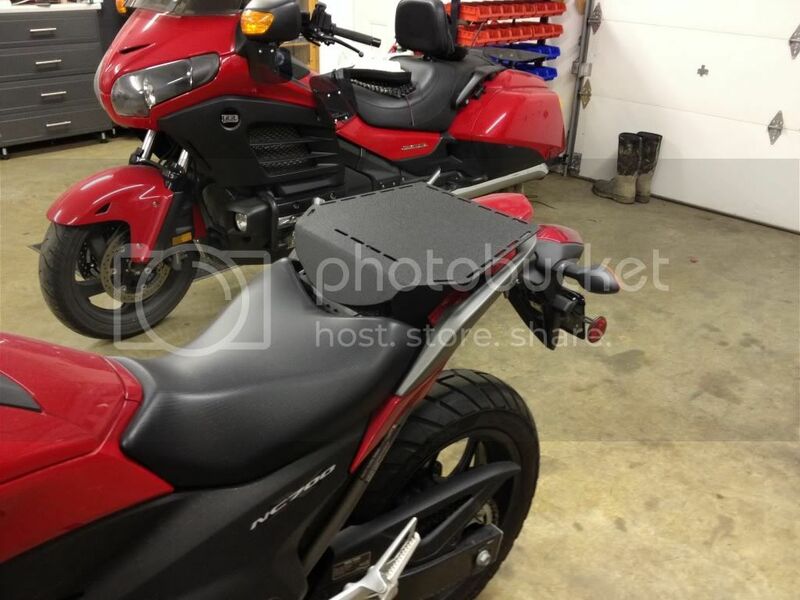 Rear Rack, I want a rack to take the place pf the passenger seat.